Epson WorkForce 310 has both ADF and input tray for its media handling methods. The ADF is capable of handling up to 100 sheets while the tray is 30 sheets. It is compatible with MS Windows XP Professional x64 Edition, MS Windows XP, MS Windows Vista, MS Windows 2000, and Apple Mac OS X 10.3.6. The unit is backed with software such as drivers and utilities, Presto! PageManager, Epson Easy Photo Print, EPSON web-to-page, and EPSON Scan. The unit is of 18.1 inches width, 16.1 inches depth, 9.3 inches height, and 16.75 lbs weight. Its interface consists of one LAN connection and one USB 2.0 port. 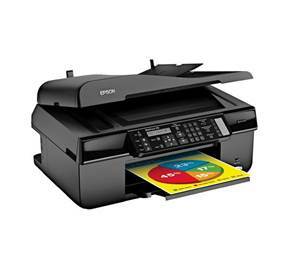 Epson WorkForce 310 requires a voltage of AC 120 V and a frequency of 50/60 Hz. During standby mode, it consumes 3 watt of power and during operation it consumes 15 watt. The copier works at the speed of 36 pages per minute for black and white and 12 pages per minute for color. Epson WorkForce 310 prints at the speed of 36 pages per minute for black and white and 20 pages per minute for color. Color management is supported by features such as Epson Vivid Color, Adobe RGB, and Windows Image Color Management.